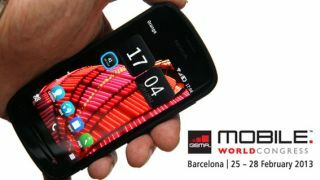 MWC 2013: what happened to all the phones? While there have been some standout devices shown off at Mobile World Congress 2013, there seems to be something missing: new phones launched. Team TechRadar has been out at the conference in full force for the past few days, forgoing sleep and the delights of Barcelona to sample the latest and greatest the mobile manufacturing world has to offer. However, that's been a little trickier than in recent years, as there simply has been less cool new stuff announced at the show. We're not saying it's a barren wasteland, with Windows Mobile handsets shuffling around empty warehouses screaming 'But we were so POWERFUL' into the cluttered airwaves, but the days when we would almost literally lose our minds with the volume of phones to preview are gone. There are notable exceptions of course: the Samsung Galaxy Note 8.0 has been worth a look, Firefox OS is coming to new handsets and new manufacturers have got into the Android game as well. But even the new launches aren't new; LG press released everything it was bringing to the conference before it started, the HTC One went all iPhone and had its own press event and Sony's big reveal was… a tablet that had already been announced in Japan a month ago. Rewind just two years and the smell of frazzled keyboards still hangs in the Barcelona air as technology journalists frantically trying to bring you news of the Samsung Galaxy S2, LG's Optimus 3D and the Sony Ericsson 'PlayStation Phone', the Xperia Play. Even writing those names out has caused our keyboard to become doused in sweat as the memories of caffeine-induced frenzies that fuelled our hands on reviews come screaming back to the mind. It's all different now though; Samsung has swanned off to do its own Galaxy thing and many other manufacturers are eschewing the traditional MWC launches. However, it does make a lot of sense when you consider the way phones are released, as a February unveil doesn't really allow much flexibility. If you notice, most handsets go on sale in May, July or October (with a little wiggle room and the odd one chucked out in late February) to fit in with consumer buying cycles – anything announced now would have to wait a few months before hitting customer pockets, and that's wasted buzz. Much better to have your own launch event, one that doesn't run the risk of being overshadowed by myriad other announcements, than to simply become tomorrow's (quad-core) chip paper. But here's the upside for you: fewer handsets to talk about means more time to dig deeper into the innovation itself, to speak to the people that matter and get the inside scoop on what's actually going on behind the scenes in the mobile world. TechRadar will be bringing you more of that very content in the next few days as the dust settles on our extensive previews of the latest handsets, so stay tuned for more on how phones could stay on standby forever without needing a charge, or how you could soon blow on a screen to take a picture. And if that's not enough to keep you going, well, isn't there a big ol' launch happening in New York in the next few weeks…?